Last week, as I compiled my annual review of Off The Podium (2018: What Kind of Blog Is This?) I spent some time reflecting on the range of topics I’ve managed to write about here, not just in 2018 but for the last four years. Each year I do this – hopefully – as an effort to reorient myself and refine my focus as another year begins. It’s a way of relating to my work that has a different relationship to time than I usually have. Most of the time I am engaged with the project of the moment, or several that I am working on concurrently, and don’t look too far beyond what project is coming up next. My hope for Off The Podium is that when the time for me to stop writing here has come, I will have managed to write about everything I feel I have something important to contribute, to say what it is I have to say. Christopher Morrongiello performs “Lachrimae” (ca. 1590s) by John Dowland (1563–1626), Cambridge University Library manuscript DD.2.11. Filmed in the Chapel from Le Château de la Bastie d’Urfé at The Metropolitan Museum of Art, New York. Whenever she came here, Aomame felt she was in another world. The air was heavy, and time had its own special way of flowing. As often happens when reading a Murakami novel, I was struck by how exactly he expressed here – within the context of a fictional story – feelings and thoughts I have had so many times myself. Recently my personal music practice has returned to the lute to prepare for an upcoming solo recital (readers of Off The Podium may have caught on that I am a multi-instrumentalist and play music across several instruments and many styles and periods). This recital is focused on the early sixteenth-century Italian repertoire: 500 year-old pieces by the first masters of western instrumental music who left behind enough evidence of what they did that twenty-first century musicians can reconstruct and perform it with some semblance of what it originally sounded like, on instruments that are close to being of the same construction and produce the same sounds. It is miraculous. It is time travel. Music exists to express our humanity in ways that words fail us. In the hour or so each day that I am able to find to sit quietly in the corner of the studio and practice lute, there is a miraculous experience of kinship I have with these ancient humans across half a millennium, these fellow musicians who played an instrument much like the one I hold in my own hands, and took the time and care to write down some of the music they created, in some cases went to the tremendous effort it took to print it, and somehow against all odds (especially in the majority of cases in which only a single copy was ever committed to paper in manuscript) it survived! and I can play it and hear it and experience the same emotions they felt. And yes, as Aomame states quite clearly in the last paragraph above: times were tough. And the truth is, for many, this hasn’t changed. Times are still tough. There are many people around the world, and here in the United States, who suffer. 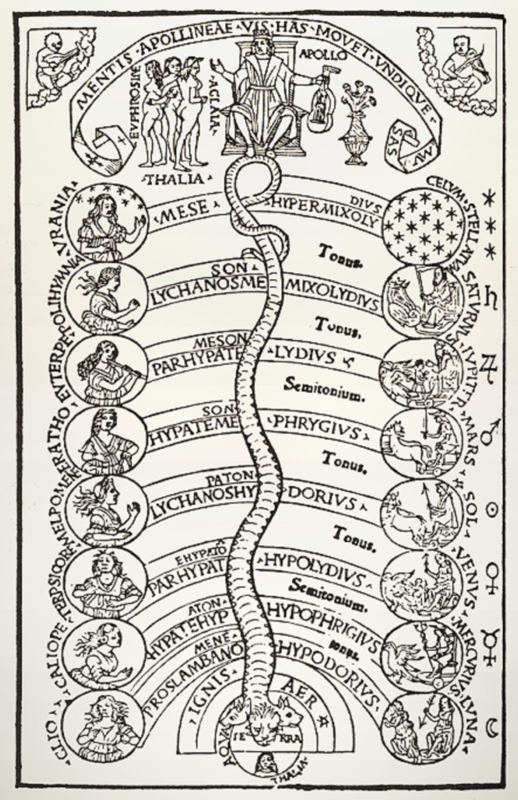 Many who “lead minimal lives in worlds that have nothing to do with richness of perception or spirit”. I am extremely fortunate to have any time or resources to devote to aesthetic pursuits. To my mind, it is the spirit of music, and especially it is the purpose of music education, to bring “richness of perception or spirit” to all. To bring humanity to our lives – my life and yours, whoever you may be. 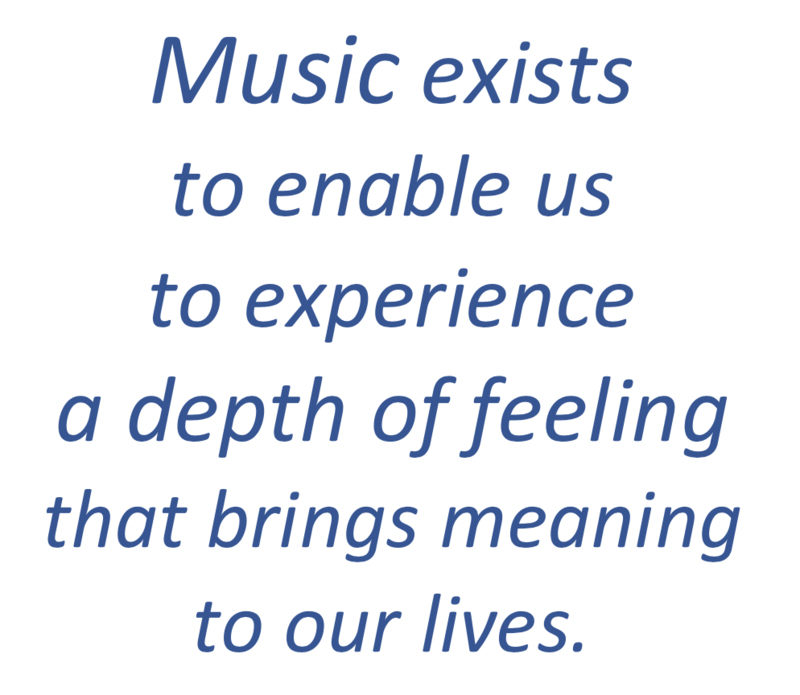 This is why music exists, to enable us to experience a depth of feeling that brings meaning to our lives. By walterbitner in Music, Philosophy, The Lute on January 5, 2019 .